VeriFone Ruby Magnetic / Mag Strip Reader for CPU4 and CPU5 Systems. 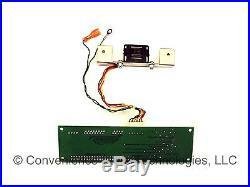 This listing is for a new VeriFone Ruby Magnetic Strip Reader for use in CPU4 and CPU5 systems. This does not cover improper use of items. About Convenience Store Technologies, LLC Convenience Store Technologies, LLC is a family owned and operated business located between Chicago and Milwaukee in southeastern Wisconsin. We offer a variety of products as well as some repair and diagnostic services to serve petroleum stations and convenience stores. Convenience Store Technologies, LLC refurbishes, repairs, and resells equipment made by original manufacturers. Company names are trademarks or registered® trademarks of their respective holders. Use of them does not imply any affiliation, authorization, or certification with or endorsement by these companies. Products are not covered under the original manufacturers warranties or support. 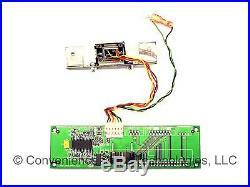 The item "New VeriFone Ruby Mag Magnetic Strip Reader Replacement for CPU4 CPU5 18300-03" is in sale since Monday, April 22, 2013. This item is in the category "Business & Industrial\Retail & Services\Point of Sale & Money Handling\Cash Registers". The seller is "c-store_techs" and is located in Delavan, Wisconsin. This item can be shipped worldwide.